Adorable penthouse unit with mountain & pond views! Windows in every room allow for lots of natural light throughout. Vaulted ceilings & two story living make this place feel more like a townhome & less like a condo. Adorable penthouse unit with mountain & pond views! Windows in every room allow for lots of natural light throughout. Vaulted ceilings & two story living make this place feel more like a townhome & less like a condo. The family room fireplace is sure to offer a cozy place in the winter. Balcony access off dining room & main floor bedroom. The kitchen offers two tone painted cabinets & black appliances (including a french door refrigerator). Two laundry closets – one closet could offer space for stackable units while the other could be transformed into a large pantry. Main level bedroom offers a large walk-in closet & access to the main bathroom. The unit also offers an upper loft/secondary bedroom w/ walk-in closet & bathroom. This could easily be enclosed to offer a traditional master bedroom. Two included A/C room units ensure the place is comfortable in the summer. 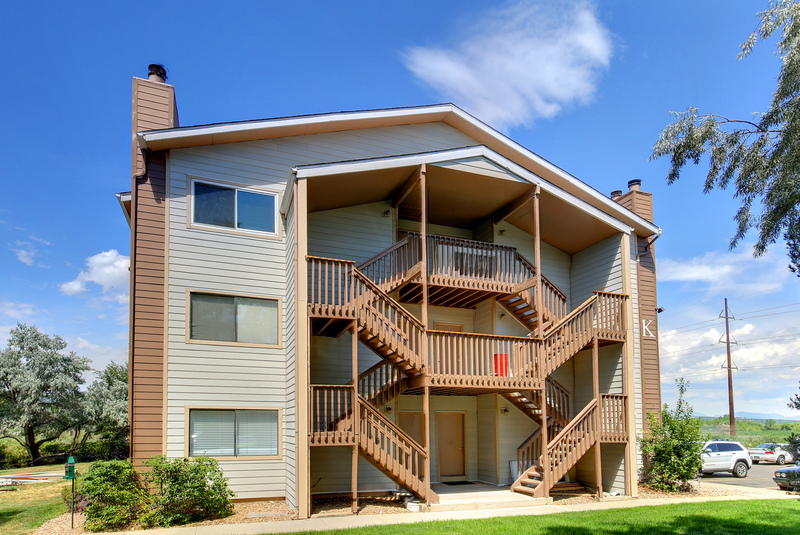 HOA recently re-sided this building & is in the process of painting & making improvements to the stairs & balconies.